The following hymn was sung by various circles on the day of the Restoration; as well as after the Temperance Picnic, given by His Majesty, to Foreign Residents and Naval Officers, (English and American,) at his Country Residence in Nuuanu Valley, August 3d. Hail! to our rightful King! Hail! to the worthy name! Hail! to our Heavenly King! Loud we thine honors raise! Loud is our song of praise! July 31, 1843. Edwin O. Hall. Temperance Advocate and Seamen’s Friend, Volume I, Number VIII, Page 42. 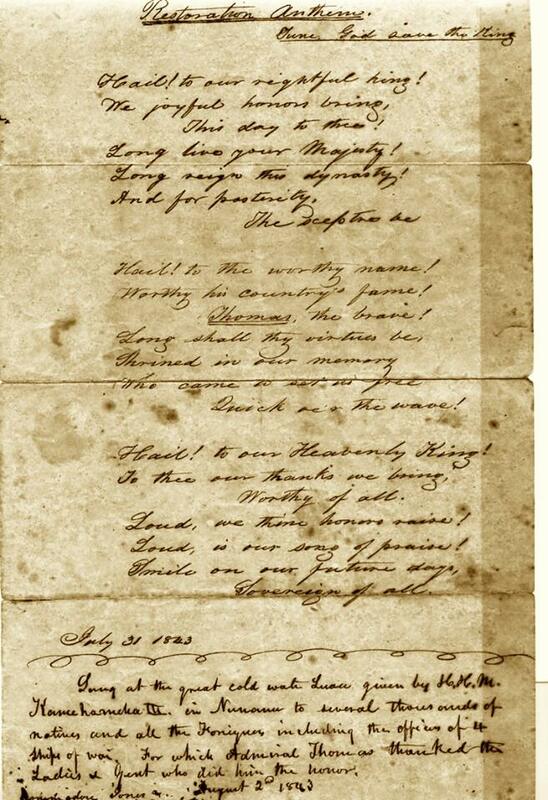 August 11, 1843. 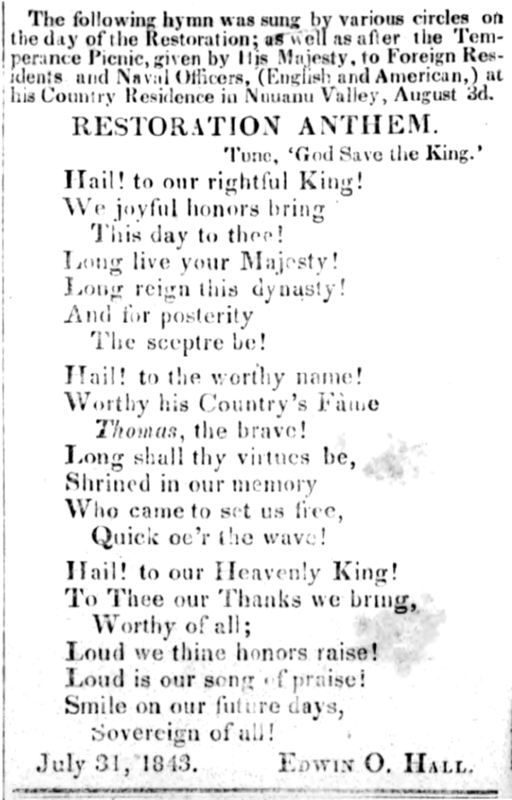 English Song for the Restoration of the Kingdom, 1893. Loud, we thine honors raise! Loud, is our song of praise! Sung at the great cold water luau given by H.H.M. Kamehameha III, in Nuuanu to several thousands of natives and all the Foreigners including the officers of 4 ships of war. For which Admiral Thomas thanked the ladies and gent who did him the honor. Restoration Anthem, Hawaiian Historical Society.